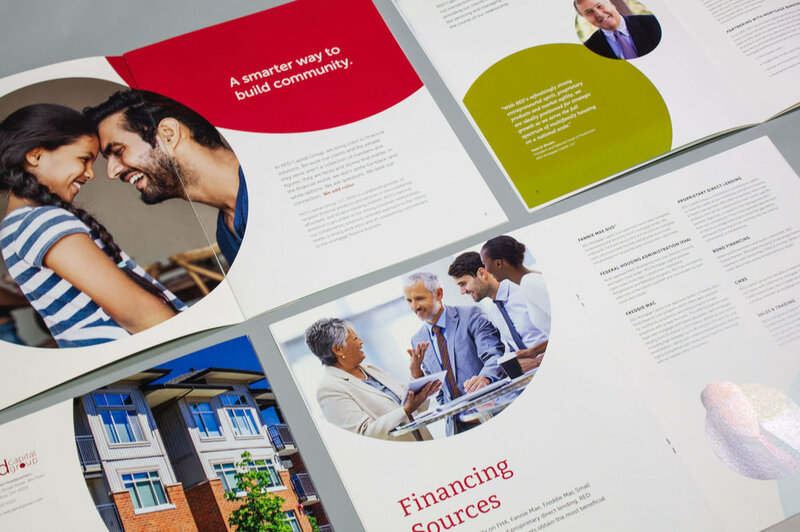 Red Capital Group came to Ologie to evolve their brand identity and strategy. It was through their talented team that Remo helped refresh the visual identity. 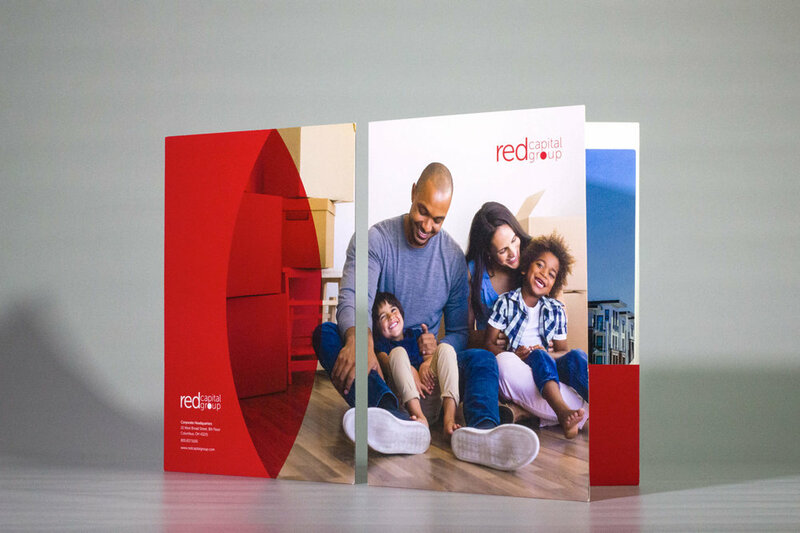 Since then, Red Capital Group has relied on Remo Remo Design to implement the new identity across their communication outlets, both internal and external facing. With a new visual identity and voice, Remo Remo Design recreated a corporate booklet that shares their new brand with their audiences. 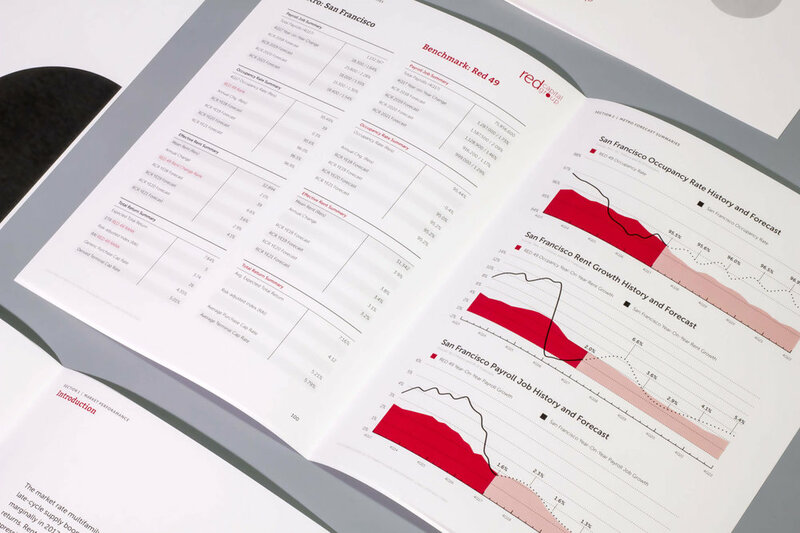 We created new templates and redesigned existing letterheads, white pages and reports that are used across Red Capital Group and its three entities: RED Mortgage Capital, RED Capital Partners and RED Capital Markets. Aside from formatted reports, PowerPoint decks are one of the most important tools utilized and interacted with, internally and externally. 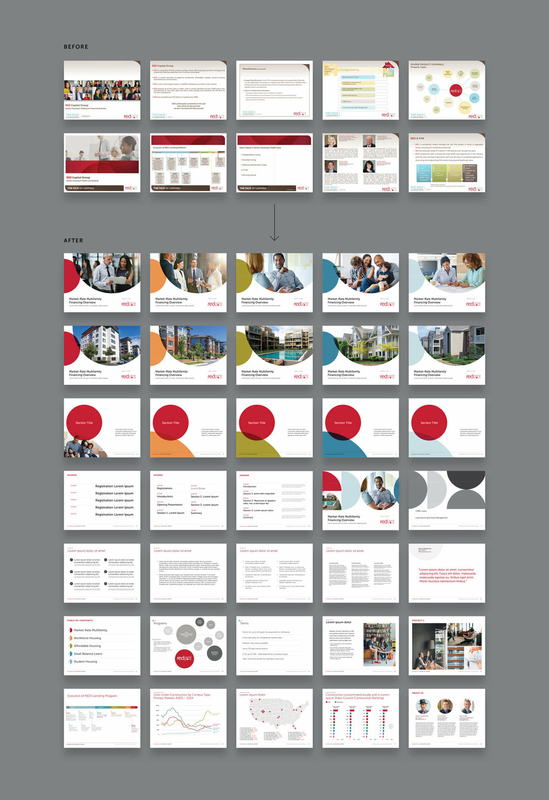 By creating a presentation toolkit, filled with templates and pre-designed pages, the communication teams can save time without compromising brand consistency. Red Capital Group had just finished working with Frozenfire to redesign their website and user experience. Remo Remo Design was tasked with applying the new visual identity to the website without disregarding the tremendous effort of Frozenfire. We redesigned the homepage and updated the formatting of type, color and treatments across the site.